Which fictional head coach would you choose to lead your football team? Yesterday at The Student Section we discussed the upcoming 2015 season for the Notre Dame Fighting Irish and we also talked about the best quarterback corps around the country. Today, the mood is a little lighter as we are going to have some fun with football and pop culture. Normally, our roundtables take place on Wednesday but this week Associate Editor Terry Johnson and writers Kevin Causey and Joseph Nardone are teaming up with Kyle Kensing of The CFB Huddle and Ian Casselberry of The AP Party to discuss fictional characters they would want to coach their football team. QUESTION: Which fictional football coach would you most want coaching your team? For my coach, I’d want a guy with some experience leading at the highest level but who has also dealt with some career adversity that would bring humility, that would show him that his way isn’t necessarily the only way. To me, the best coaches are adaptable, rather than rigid. My guy would be Jimmy McGinty, the coach of the Washington Sentinels in The Replacements. McGinty originally coached the “real” Sentinels, but was fired when he got into a fight with his quarterback. That’s not ideal, of course, but it demonstrated that the coach wasn’t a pushover for his players and wasn’t afraid to do what was necessary to assert his authority – even if it cost him his job. More importantly, McGinty showed he could build something out of nothing, cobbling together a team of reclamation projects for replacement players when the regular ones went on strike. And he quickly identified the need for a leader, finding his man in quarterback Shane Falco. Like McGinty, Falco sought football redemption, having failed in his final college game and been a bust as a pro. Betting on Falco was a huge risk for McGinty, but he took a chance on the quarterback’s talent and desire to erase the disgrace of his earlier career. Sure, you want a coach well-versed in schemes and techniques. But handling people is also important, as is trusting your instincts and seeing potential. McGinty’s success in those facets of the game is why he would be my coach. Hayden Fox (Coach) seems rather obvious to me. He is a coach, who coached at mostly the college football level, and even helped be the building block of the then expansion Orlando Breakers. Fox can basically coach at any level. Not only that, though. Fox is a loyalist. I want that in my head football coach. Seriously, he dragged Luther Van Dam to all his stops. And, well, not to be mean or anything, but Van Dam was a marginal assistant at best. Still, Hayden Fox made it work! Plus, we know he can build programs. Before joining the Minnesota State University Screaming Eagles, Fox got his start with Chattanooga University. Now, while we don’t technically know his overall record at Chattanooga, it must have been good enough for the Screaming Eagles to give him the job. Even if we are just taking his time with Minnesota State into consideration: Fox took a teem with presumably no conference allegiances against Michigan State and Tennessee on the regular. We haven’t even mentioned that he led the Screaming Eagles to victory in the Pioneer Bowl in the 1993-94 (television) season, and won a NATIONAL CHAMPIONSHIP. Give me the coach with all the rings, man. Rumors have started to swirl that his son wants to bring Fox back to help him coach at a lower level. If I want to bring the dynamic Hayden Fox to my (fictional) Club State Pool Cleaners, the boosters and I better pony up some money fast. There’s an obvious answer here: Molly McGrath from the 1986 film Wildcats. Firstly, who doesn’t want to be appear ’80s Goldie Hawn? Secondly, my fictional program is tearing down barriers with this hire. McGrath is a student of the game who went from knowing nothing to leading a championship-winning team. Tell me that isn’t dedication. She’s also a disciplinary. McGrath drew a line in the sand on player conduct that, frankly, more college football programs can follow. I have to say that I am really unhappy right now. I mean I am steaming. That no good, low down, dirty multi-gazzillionaire Kyle Kensing snuck in at the last minute with a trillion dollar offer and stole Molly McGrath right from under my nose. You know what? That’s fine because I got in my beat-up pick-up truck and headed to Texas. In fact, I headed to Dillion, Texas. After a couple of beers with Tim Riggins and a little grease into the already greasy palms of Buddy Garitty, I was given the address to Coach Eric Taylor. We worked into the night to hammer out a contract that will not only see Eric Taylor come in as our coach but will also bring in Tami Taylor to serve as a counselor for our players to make sure we keep them on the straight and narrow. With Taylor’s 12-2 post-season record and two Texas state titles on his resume, he’s ready to be the next Gus Malzahn! Since there are several coaches that I liked, I picked a head coach and two coordinators. I’d choose Ed “Straight Arrow” Gennero (Hector Elizondo) from Necessary Roughness to be my head coach. While other movie coaches might have had more success (although he did win a Cotton Bowl despite suspending two key players), Gennero did so without bending any rules, which is why Texas State President Carver Purcell hired him in the first place. In addition to running a good, clean program, Gennero helped his players improve tremendously throughout the season. After a slow start, the team was playing as well as anyone by the end of the year, upsetting the No. 1 Texas Colts in the season finale. With a couple of recruiting classes (once the sanctions were lifted), there’s no doubt that Coach Gennero would have had the Fighting Armadillos back in the National Championship picture. While Gennero would probably focus heavily on the offense as he did in Necessary Roughness, I’d still hire Coach Klein (Henry Winkler) from the Waterboy as the offensive coordinator. Yes, the Mud Dog offense stunk for most of the movie, but that’s only because Klein was still afraid of Red Beaulieu. After Bobby Boucher helped him overcome this fear, Mister Coach Klein came up with some nifty “ball plays” to get the team in the end zone to win the Bourbon Bowl. Combining Klein’s creativity with Gennero’s experience, my school should have no trouble scoring points – even if the team featured a 34-year-old quarterback. 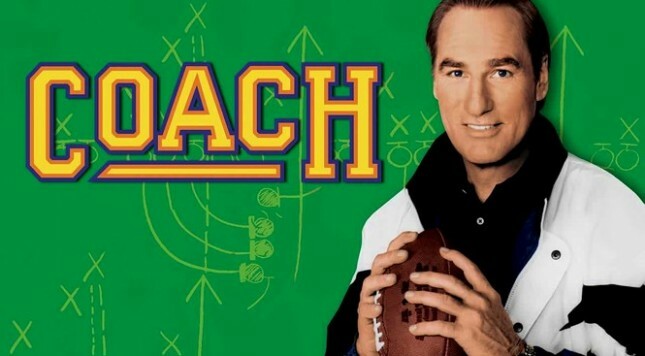 On defense, I’d tap Coach Nickerson (Craig T. Nelson) from All The Right Moves to run the show. Nickerson’s brilliance was on display early in the movie when he formulated the game plan for Walnut Heights. Realizing that he didn’t have the athletes to stop the Knight offense, he decided to use a 6-2 stack defense for the entire game. With his defensive lineman lined up a yard and half off the ball in four point stance, the Bulldog defense shut down the Walnut Heights’ ground game for the entire contest. If he can have that type of success with Ampipe players against one of the top schools in the state, I can only imagine what he could do with Division I talent to run his schemes. That, my friends, is my fictional coaching staff. These coaches might not have the track record of a Red Beaulieu or a Bud Kilmer, but they’re excellent coaches who come up with creative ways to solve problems.